If Peter Vail is the father of sequence stratigraphy, Robert M. "Bob" Mitchum is the doctor who made the delivery. A key member of the seismic stratigraphy research team at Exxon Production Research, Bob completed many geological and geophysical studies that lead to the development of the new stratigraphy. He also had the onerous task of defining much of the terminology and writing many of the basic articles in AAPG Memoir 26, which kicked off the widespread use of seismic stratigraphy and sequence stratigraphy. In the following years, Bob became the sequence stratigraphy guru at Exxon, conducting studies of many basins worldwide, which were used both for prospect development and to train young explorers. Many of these people now hold senior management and technical positions in Exxon and elsewhere. He is author or co-author of over forty papers in classical stratigraphy, seismic stratigraphy and sequence stratigraphy. Bob joined Exxon Research in Tulsa in 1954. For two years he studied fracture porosity development in regional joints and in fractures on compressional folds in the Big Horn Basin, Wyoming, and in the Appalachians of Maryland and Pennsylvania. From 1956 to 1969, he was involved in carbonate facies research including studies in the Paradox Basin and the Devonian reefs of western Canada. In Canada he studied the Swan Hills limestone and prepared a 43-sheet folio on all the Devonian reefs, including original outcrop studies in the Northwest Territories. He also made a two-year study of the Ellenburger carbonate of West Texas in Midland. He helped develop and led carbonate schools in the Bahamas, Florida, and the Guadalupe Mountains, and helped develop the Exxon carbonate classification. A study of carbonates of the West Florida slope in the Gulf of Mexico combined analysis of high-frequency sparker data with classical sedimentology. This introduced him to seismic stratigraphic interpretation. In 1969 he joined Peter Vail's seismic stratigraphic section. His first regional study was offshore Morocco, using Exxon's overseas affiliate's data. Following that, a major study of the North Sea Paleocene deepwater sandstones came at a time when many of the basic seismic stratigraphic concepts were being tested and documented. Long service jobs in the Gulf of Alaska, circum-Caribbean, and southern Atlantic USA offshore established him in his role of principal stratigraphic trouble-shooter for the Exxon affiliate companies. During this period, most of his time was spent on loan to overseas affiliates. He worked with the Europe-Africa Division on offshore Ivory Coast, then was assigned to the Beaufort Basin in northern Canada. A long study of interior rift basins in Africa included those of Chad and Niger. In 1980 he was involved in a study of Argentine basins, including the Neuquen, Malvinas, Magallanes, and San Jorge basins. Several research reports and outside publications resulted from these studies. A Gulf of Mexico regional study resulted in a long-term abiding love of the varied geology there; "something for everybody." A South Atlantic salt basin study introduced him to the geology of eastern South America and west Africa. Other areas include Yemen, offshore China, Gippsland basin, Australia, and offshore western Australia. All of these widespread service projects resulted in research spin-offs, with company research reports and outside publications, especially involving concepts of sequence stratigraphy and eustatic cycles, as well as deepwater fans and turbidites. Bob retired from Exxon Research in 1988 after 34 years and began several new careers as an explorationist, teacher, and consultant. He joined John Sangree and Robert Sneider and worked with nearly all of the major oil companies. In the years after 1988, Bob consulted and explored in the Gulf of Mexico, Australia, Norway, Great Britain, Indonesia, Malaysia, Mexico, Canada, Venezuela, Argentina, Chile, and others. The list is too long to finish here. Indeed he still works full time at 71. Characteristically, he has tackled the interpretation of one of the most challenging and important new exploration areas and he is writing "just one more" paper that we ignore at our peril. Bob was born in Nashville, Tennessee, worked and periodically lived on a farm, and was surrounded by the pleasures and prejudices of the rural South. He obtained his BA and MS at Vanderbilt University and went on for a PhD at Northwestern University, with the team of Krumbein, Dapples, and Sloss, who discarded the old shibboleths of geology and taught an exciting new, open-minded stratigraphy and sedimentology. There he met Peter Vail and the author and we began a long and fruitful friendship. Today Bob is a distinguished white-haired southern gentleman in the best and most modern sense of that term. His wife Naomi is an inspirational author, poet, and playwright and a truly wonderful support and companion. Mitchum is a member of the American Association of Petroleum Geologists, and was a co-recipient of the AAPG President's award with P. R. Vail and J. B. Sangree for papers on seismic stratigraphy in the 1977 AAPG Memoir 26. 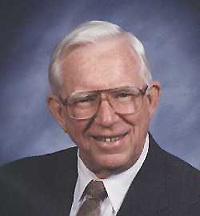 He also received the Robert H. Dott Sr. Award with J. C. Van Wagoner and other co-authors for the AAPG special publication Methods in Exploration Number 7 in 1992. He has had membership in the Society of Economic Geophysicists and belongs to the SEPM, the Houston Geological Society, and has been awarded an honorary membership in the Geophysical Society of Houston. He has been recognized for his editorial, work for the AAPG. He has much to be proud of, but the many geologists that regard him as a father figure will attest that his primary goal is still to help others to benefit from his wealth of experience through teaching and example. Bob's election to Honorary Membership in the Gulf Coast Section SEPM is fitting tribute for his many contributions to the science of geology.